One Eternal Day: "He is the King of glory"
Handel's Messiah is perhaps the most perfect combination of music and Scripture ever created. From prophesy, to incarnation, to death and resurrection, it magnificently recounts the story of Our Lord. It is traditionally associated with Christmas but is relevant to any point in the Christian year. 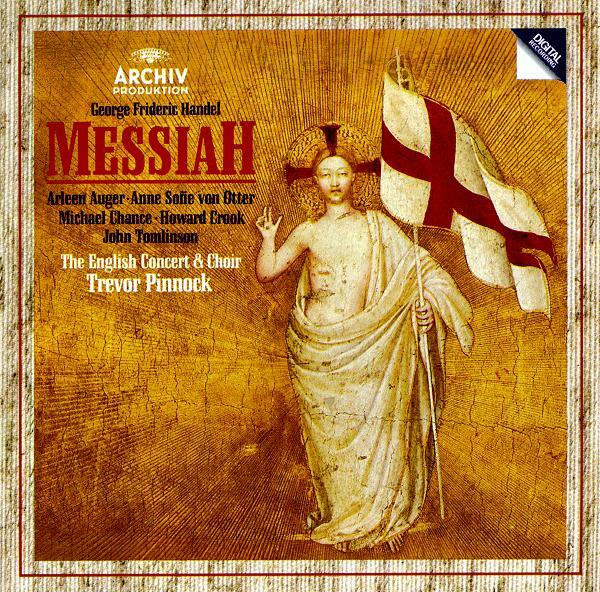 At this moment I'm listening to Handel's Messiah with The English Concert & Choir directed by Trevor Pinnock. I was inspired to listen again today when I read Justin Taylor's interview with Calvin Stappert, the author of Handel's Messiah: Comfort for God's People. Deism was very strong at the time, a serious threat to orthodox Christian faith. Charles Jennens, a devout Anglican, compiled the collection of Scripture texts that make up Messiah in order to combat Deism. Deism’s “natural theology” had room for a creator-god, but denied miracles and any divine intervention into human affairs. Therefore it denied the fundamental Christian beliefs in the Incarnation and the Resurrection. It also denied their necessity. Humans, they believed, had the resources to solve their own problems; there was no need for a Messiah. Jennens’s choice of texts had both a polemical purpose—to persuade unbelievers—and a pastoral purpose—to nourish and strengthen the faith of believers. He enlisted Handel (whose music he loved and who undoubtedly shared his convictions) to convey his message through the rhetorical and dramatic power of music. I am inclined to pay much more attention to music than to words (which is why I am often oblivious to objectionable sentiments in songs I like). 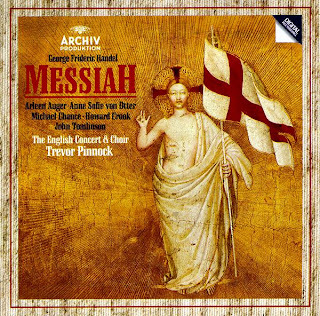 I can listen to Messiah as background music but how much better in this case to follow the text. The Pinnock performance has been my favorite for some time, but at the end of the interview Stappert recommends several others.